When Ing. 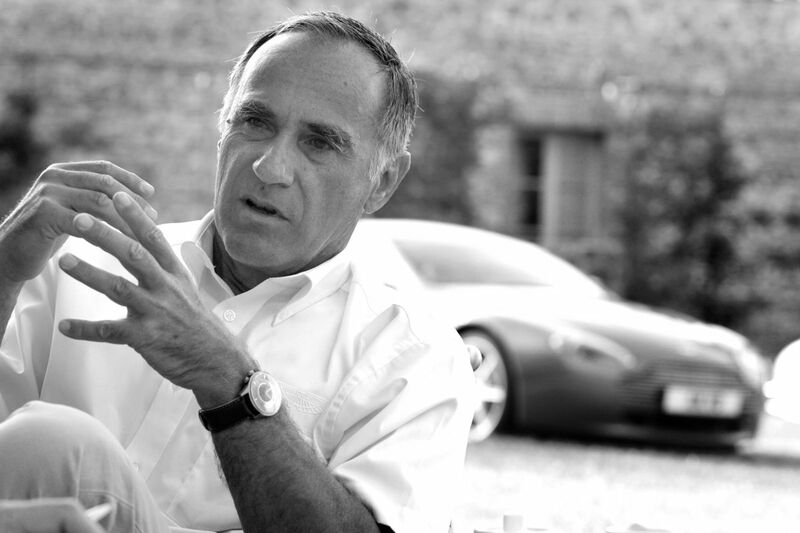 Dr. Ulrich Bez took over control of Aston Martin in 2000, he told me that although he did harbor plans for Aston Martin to participate in motor racing, to broaden the appeal of the marque, it would not happen using Aston Martin’s precious and limited financial resources. Like many British carmakers, Aston Martin boasts a long history in motor sport, and many victories. “We will sell cars to private teams, but assist them with technical knowledge, advice and discounted prices for parts.” Said Bez. Times change, and once again Aston Martin is back in the pack at Le Mans, and also participating in the GT3 category, wearing the banner ‘ASTON MARTIN RACING’ and funded by the factory. Is this a good idea? I think it is. Just like Jaguar’s confidence has grown, on the back of record sales, Aston Martin sales have gained strength year after year since the GFC, and the company feels it’s time to throw its corporate hat in the ring – both with an appropriate investment of company funds, and developing new models under the AMR banner. "Given this is the last year for the current Vantage in GTE and GT3, we decided to take a different strategy for 2018, given both the arrival of the new Vantage, and the launch of the AMR brand. "The main change is that we have consolidated racing, special vehicles (cars like Vulcan, GT12, Valkyrie) in one division and under one single Director - David King. "We have signed a new agreement with Prodrive to support our racing activities and they are helping to develop the new WEC cars based on the new Vantage which debuts at the end of this year. Prodrive doesn't own Aston Martin Racing (some perceived this in the past)...we, Aston Martin, run that operation. "The other major change is the launch of AMR as our performance brand. Harking back to the early 50s when David Brown created a higher performance version of the DB4 to start the Vantage bloodline. "Creating higher performance versions of our cars continued through to DB7 in the 1990s. From DB9 onwards, we dropped the Vantage versions (and the name was applied to a whole car of course). "So it was not a difficult decision to bring back a higher performance product line-up, and calling it AMR was a natural way to create the connection between racing and road cars. Every car in our range will have at least one AMR version. The first production AMR cars are the Vantage V8 AMR and Vantage V12 AMR announced recently. "Racing at the level of the WEC is not for the faint-hearted and requires a deep technical and financial commitment. With Prodrive and our own in-house expertise through special projects, we have the technical depth and capability. "It's a simple and direct way to ensure we never forget that racing is a business and not an indulgence for the company." 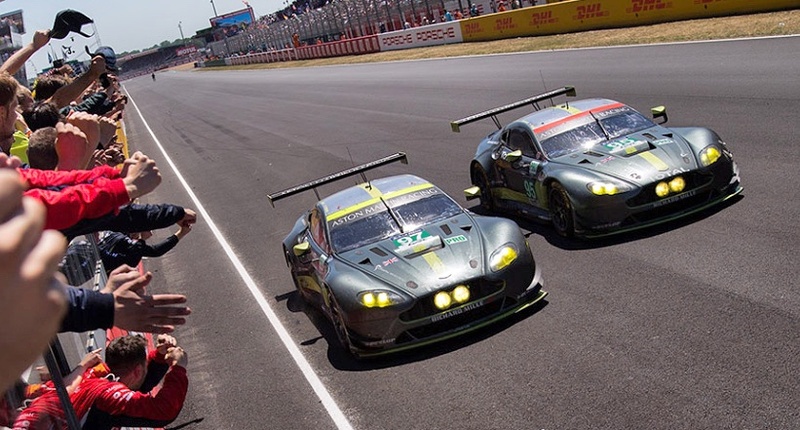 In the recent 24 Hours of Le Mans Aston Martin’s efforts were rewarded with a win in the GTE Pro class; plus a second AMR car finishing 9th in GTE Pro, and an 8th place finish in the privateer GTE AM class. However, my original reservations about motor racing ‘as a marketing tool’ remain, because as far as public optics are concerned, you’re only as good as your last victory, and to keep the silverware flowing into the winners hands, you have to keep pumping money in to the motor racing sausage machine. There’s no doubt companies successfully putting their race cars into the winners’ circle have reaped rewards for their image – namely Jaguar and Bentley – in recent times, but it ain’t cheap and you have to be very sure that it's a credible part of the marque’s heritage, and the myths and legends which grow up around motor racing.